Here's what you need to know before you refinance your home. One of the biggest benefits to owning a home is the equity that owners accumulate as they pay down their mortgage and as real estate values climb. Not surprisingly, homes are the single largest asset owned by the average American. To leverage the equity in your home, you will need to refinance your property when it has increased in market value. Considering the amount of money that this can free up, you might be tempted to refinance and take out cash as soon as possible. Before you do, look carefully at the consequences and instead consider the best time to refinance a mortgage. There are costs to refinancing a mortgage that you’ll want to calculate before determining if it’s worthwhile. 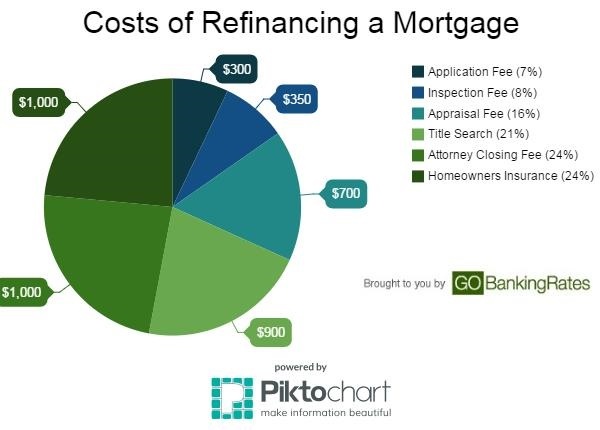 Many finance companies offer “no-charge” refinancing. Don’t be fooled. You’ll still be paying for it, just not in the form of up-front costs. The charges associated with a refinance may be rolled into the new loan. For a house that’s valued at $200,000, your refinance costs will run around $5,000 on average. Before you refinance, make sure your existing loan doesn’t have a prepayment penalty, which is generally 80 percent of the loan interest that accumulates over a six-month period. You would be responsible for paying this because in a refinance, you pay off the original loan and replace it with a new one. The way the loan amortization process works, you’ll pay more in interest early on in the loan. As the years progress, more of your mortgage payment will be applied to the principal. So refinancing a home after you’ve paid on it for a long while will cost you more than doing it early on since you haven’t paid as much in interest. Still, the number of years you plan to keep your home should be one of the biggest factors to consider in a refinance. Say you want to refinance your mortgage within six months of purchasing a home. First, calculate the costs of a refinance and then the amount of your monthly savings. If you pay $5,000 to refinance your mortgage, and you’re saving about $250 a month with a lower interest rate, it’ll take you 20 months to recover the cost. Stay in home for more than 20 months, and a refinance might not be a bad idea. If you plan on selling before then, you won’t recover the transaction costs, perhaps making it an unwise decision. If you’re refinancing your mortgage, and taking out cash to pay for a large expense, such as a major home renovation or a medical emergency, then the costs involved with a refinance might not matter. Maybe a home equity loan or line of credit would be a better way to go. Explore the costs of each. If interest rates rise, and your interest rate is lower than current rates, it would not be a good idea to refinance. Likewise, remember that a refinance generally is best within the first few years of living in a home. Each lender has its own rules for approving and denying mortgages. Where Can I Find Refinance Calculators?